Eastern freshman Jessica Cook (8) rounds the first turn in the 1600m run at the Division III State Championships, on Saturday in Columbus. Gallia Academy sophomore Mary Watts races down the stretch in the 1600m run, Saturday in Columbus. 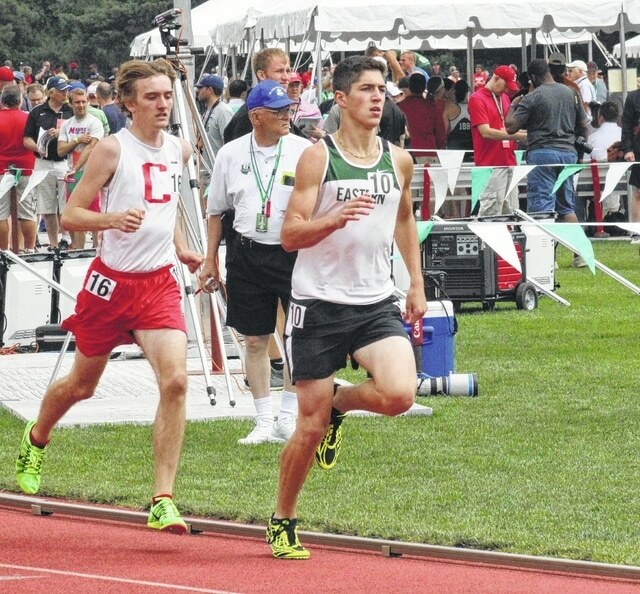 Gallia Academy sophomore Isaiah Lester completes his first lap in the 800m run, at the Division II State Championships on Saturday in Columbus. Eastern sophomore Jett Facemyer (10) completes his first lap during the 800m run, Saturday at Jesse Owens Memorial Stadium.